The Metrobank Foundation, Inc. (MBFI), through the Yellow Boat of Hope Foundation (YBH), supported the construction of a half-way home or dormitory to cater to underprivileged students of Siayan National High School in Siayan, Zamboanga del Norte. A formal turnover ceremony was held on February 15, 2018, with Vice President Maria Leonor “Leni” Robredo gracing the event. It was the Angat Buhay program of the Office of the Vice President which first informed YBH of the situation faced by the schoolchildren of Siayan. On average, children in the area walk 8 kilometers crossing mountains and rivers just to go to school. 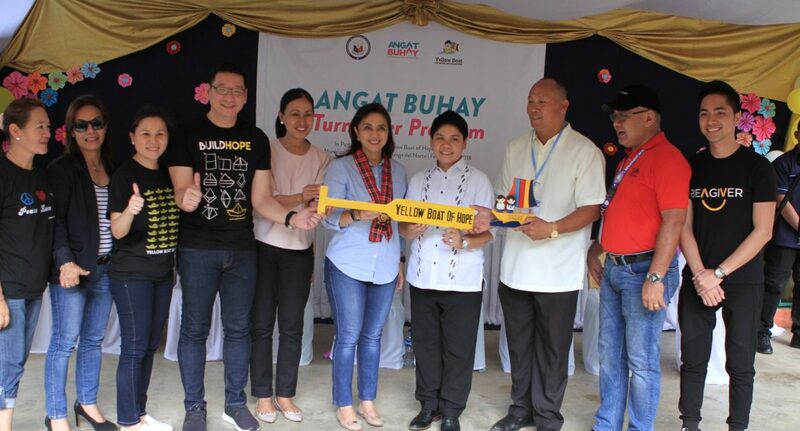 Also present during the turnover were Siayan Mayor Flora Villarosa, YBH president Dr. Anton Mari Lim, and officials from the Department of Education (DepEd). Currently, the dormitory is occupied free of charge by 25 boys who come from underprivileged families in the area. This the third Yellow Dorm of Hope constructed by YBH, after building the first two in Kabasalan and Buayan, Zamboanga Sibugay. Providing physical access to education is one of MBFI’s priorities under its Health, Education, Arts and Livelihood (HEAL) framework. The grant for the Yellow Dorm of Project marks a milestone in the partnership between MBFI and YBH in support of this goal. The two organizations previously worked together for DepEd’s Pedals and Paddles project. A total of 339 boats were donated for the benefit of almost 2,000 school children in Palawan, Cebu, Pampanga, and Davao Oriental who face difficulties in going to school. MBFI and YBH also collaborated for the construction of fishing boats for communities affected by supertyphoon Yolanda. Established in 1979, MBFI, through its Grants Program, continues to forge more partnerships with like-minded organizations who share in the mission of helping heal the Filipino one grant at a time.